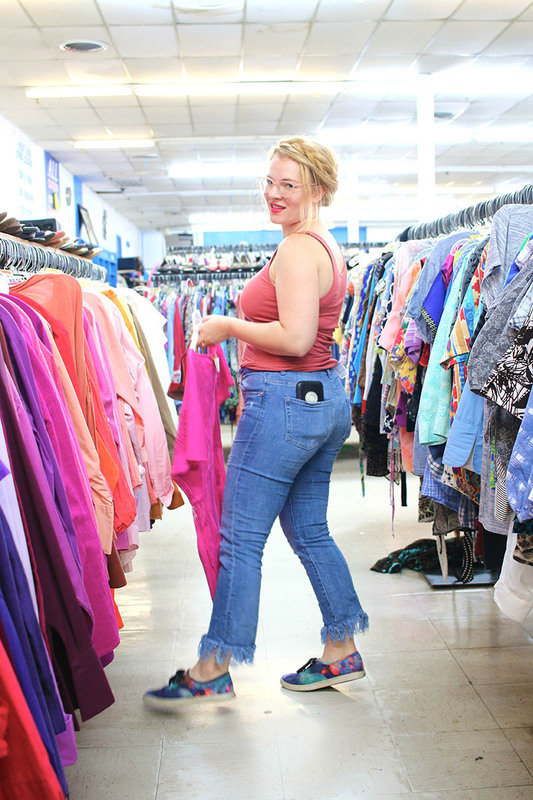 Here are a few of the thrift stores in Houston that I’ve been visiting on the regular, it’s a question I get all the time so I thought I’d go ahead and share my current favorite Houston thrift stores. I have consistently found amazing finds at this Family Thrift Center in Houston, from Alexander McQueen boots, Gucci Wallets, several NEW Tory Burch shoes, Coach bag galore, Burberry button down tops & 3.1 Phillip Lim tops and a jacket. I also find home goods here tons, copper measuring cups, marble canisters & lots of Restoration Hardware kitchen goods. I just love the Family Thrift Outlets in Houston for the most amazing deals! Everything starts at $2 and goes down a quarter each day until it resets & they restock on Thursday. Recently I found a beautiful red vintage jacket with a rabbit trim collar, a few pairs of UGG boots for my daughter (in excellent condition & they’re so easy to wash!) & such a great option for work wear on a budget. 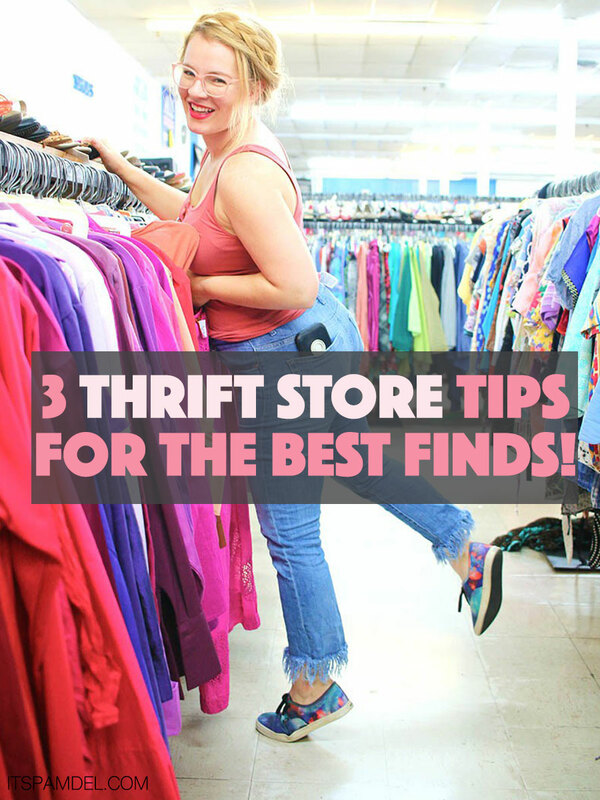 The biggest complaint I hear is that someone doesn’t have a good thrift store near them & then I ask how often they go…they went once. GIRL. I go a few times a week, that’s the only reason I find so many amazing things. Don’t expect to find gold by going once. End of story. Don’t expect to go in & out in 15 minutes, give yourself maybe a hour. It takes time to sort through the junky items to find those jewels. When short on time I head straight for shoes, bags & home goods. Make a game plan & stick to it. I am constantly asking myself is it worth the price tag. You won’t catch me paying $9 for a Target dress, I mean…I could have went to Target. I’m looking for the magical pieces that their retails tickets would have me saying NOPE. Ask yourself time and time again, could I get this for the same price somewhere else? If so, put it down because you can get amazing items for pennies on the dollar. First, your hairstyle in these pics is so incredibly cute — love it! Great tips — I am definitely in the go once and give up group, lol. I need so stick-to-it-tiveness because I LOVE everything you find. Thanks, Pam!